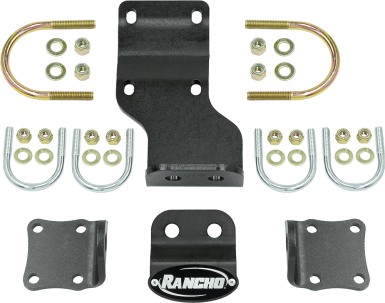 Rancho® Dual Steering Stabilizer Brackets are designed to help you mount two Steering Stabilizers to your lifted Jeep® JL without any modifications. They are made of high-strength, low-alloy steel and include the mounting hardware for an easy installation. The installation of this kit requires a 2-in. lift minimum with at least 2-in. tall front bump stop spacers. This prevents the Steering Stabilizer from contacting other components at full jounce travel. 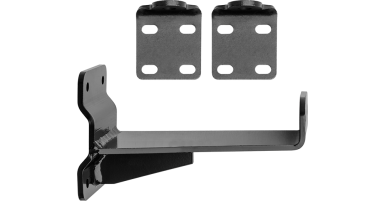 The installation of this kit requires a 2-in lift minimum with at least 2-in tall front bump stop spacers. This prevents the steering stabilizer from contacting other components at full jounce travel.